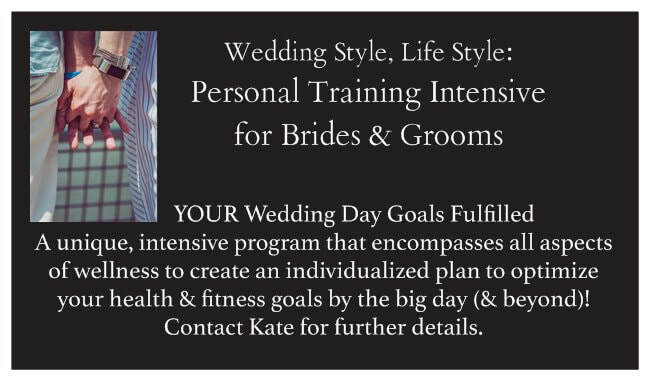 What: A unique intensive program that encompasses all aspects of wellness to create an individualized plan to optimize your health goals by the big day (& beyond)! Where: Anywhere- can work in-person in NYC area or remotely thanks to technology! Plans beginning at $150 per month! Ask about available packages and discounts!